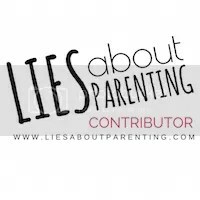 Posted in co-sleeping, family, humor, kids, moms, parenting	by linda a. If you’re wondering how my Operation Polar Vortex went, well, let me tell you that it has now turned into a game of musical beds. Day two: After my failed first day, I decided maybe it would be easier if I lay down next to one of them. Oh this worked wonders! They woke up in their room, each in their own beds. And so did I, half of my body was hanging out of Itala’s bed. Surprisingly enough I did not wake up once. My husband said he tried to wake me up, but I don’t believe him. I think he wanted the king size bed all to himself. Day Four: We try this one more time. This time I wake up in my bed with Itala, and my husband in Itala’s bed. I’m pretty sure she coerced him into switching. This game of musical beds is now getting old. Day Five: Ughhhh who cares anymore! Between a full-time job, kids, dinner, laundry, homework, bath time and all that jazz, I’m running on negative. Get in girls! My husband came home around 1 am. Kissed her three girls on their cheeks and climbed in.